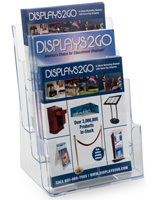 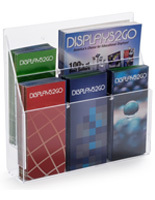 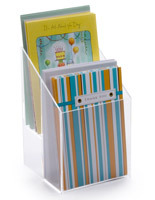 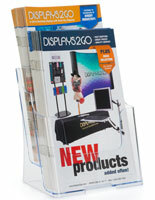 This tabletop pamphlet holder easily adjusts to fit magazines or promotional flyers using a set of acrylic pegs. 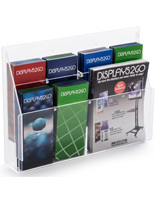 Change the layout by inserting the dividers according to presentation size and style. 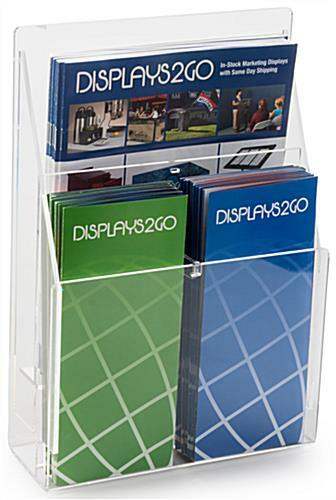 This pamphlet holder that is brochure rack is designed with a higher row at the rear than is at the front, for easy viewing of all materials no matter where they are placed. 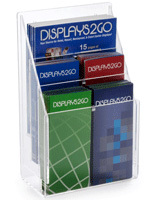 Like a business card rack, this clear display fits on a countertop for office use. 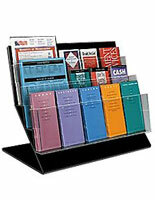 This pamphlet holder has a small enough footprint to fit on most surfaces, leaving room for other supplies. 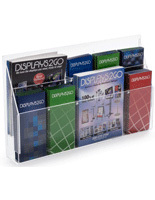 Wall mounting hardware is included, should another mounting option be desired. 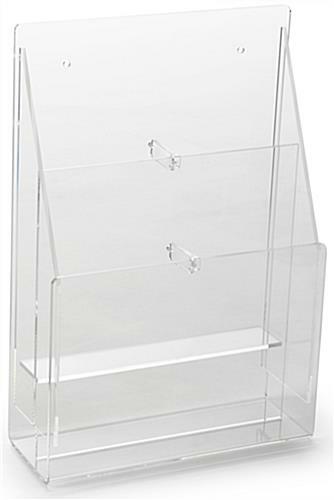 9.5" x 13.8" x 4.8"
8.8" x 6.8" x 1.5"